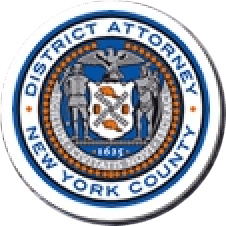 Manhattan District Attorney Cyrus R. Vance, Jr., today announced the sentencing of SHAQUILLE FULLER, 24, to 50 years-to-life in state prison for shooting a teenager in December 2014, and fatally shooting a 33-year-old man in February 2015. On April 4, 2017, a New York State Supreme Court jury found the defendant guilty of all the charges in the indictments against him: Murder, Attempted Murder, and Assault in the Second Degrees; Attempted Assault in the First Degree; and four counts of Criminal Possession of a Weapon in the Second Degree. As proven at trial, at approximately 11:00 p.m. on December 12, 2014, FULLER followed a 19-year-old as he walked down Avenue D near NYCHA’s Lillian Wald Houses. As the victim began to cross the street, FULLER approached him and fired two shots during a brief altercation, striking the victim in the back of the head and chest. The victim was able to flee, and was later taken to the hospital where he underwent surgery to have a bullet removed from his shoulder. Further as proven at trial, at approximately 4:30 p.m. on February 23, 2015, FULLER followed 33-year-old Shemrod Isaac as he walked on Avenue D toward the corner of East 4th Street, also outside of the Lillian Wald Houses. FULLER shot the victim three times in the arm and back. The victim was later declared dead at Beth Israel Hospital. FULLER fled to New Jersey, where he was apprehended on March 9, 2015, for the December 2014 shooting. Following further investigation, he was later charged with the February 2015 murder. Assistant District Attorneys Michael Pasinkoff and Andrew Mercer handled the prosecution of the case, under the supervision of Assistant District Attorney Christopher Prevost, Deputy Chief of the Violent Criminal Enterprises Unit; Assistant District Attorney Christopher Ryan, Chief of the Violent Criminal Enterprises Unit; Assistant District Attorney Lanita Hobbs, Chief of Trial Bureau 80; and Executive Assistant District Attorney John Irwin, Chief of the Trial Division. Investigative Analyst Patrick Dwyer and Senior Investigative Analyst Ryan Yuffe assisted with the case. District Attorney Vance thanked the NYPD, particularly the members of the 9th Precinct Detective Squad and Manhattan Homicide South.